This is not something new. Our school library has always been a safe space for kiddos of all kinds. Our wonderful school community is a rich tapestry of many woven threads, rich colors, diverse backgrounds, orientations, expressions, many abilities and kids from many lands speaking many languages. Laurel, Maryland is right smack dab between Washington DC and Baltimore – it’s like our school has always been a mini United Nations. I love that about us! 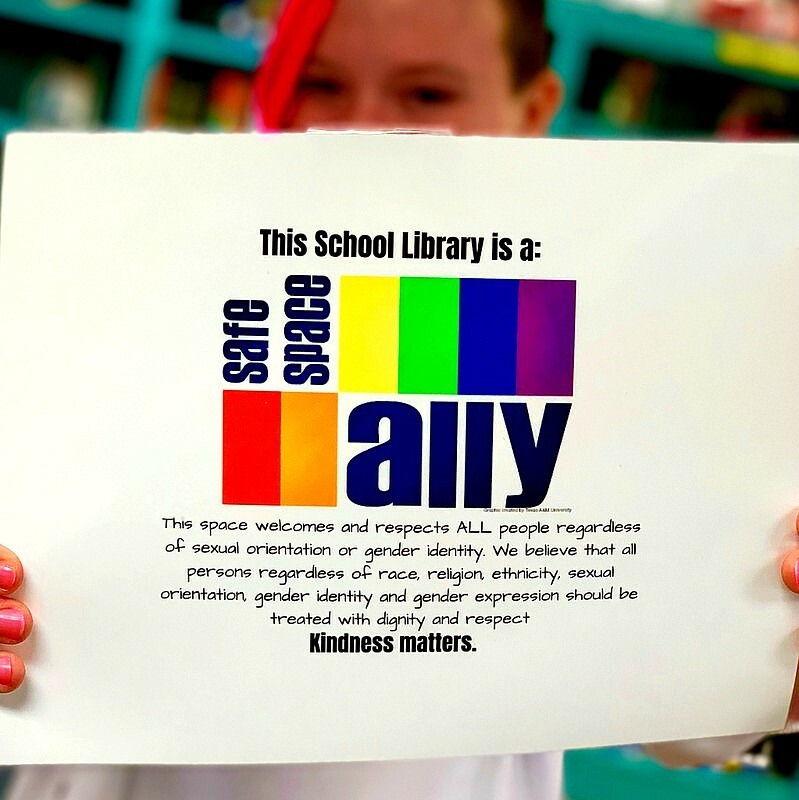 And our School Library has always enjoyed being a draw and a safe landing spot for kids who are quirky, nerdy, bookish, techie, geeky, queer, gay, trans, wordy, dramatic, creative, alternative, and cool. 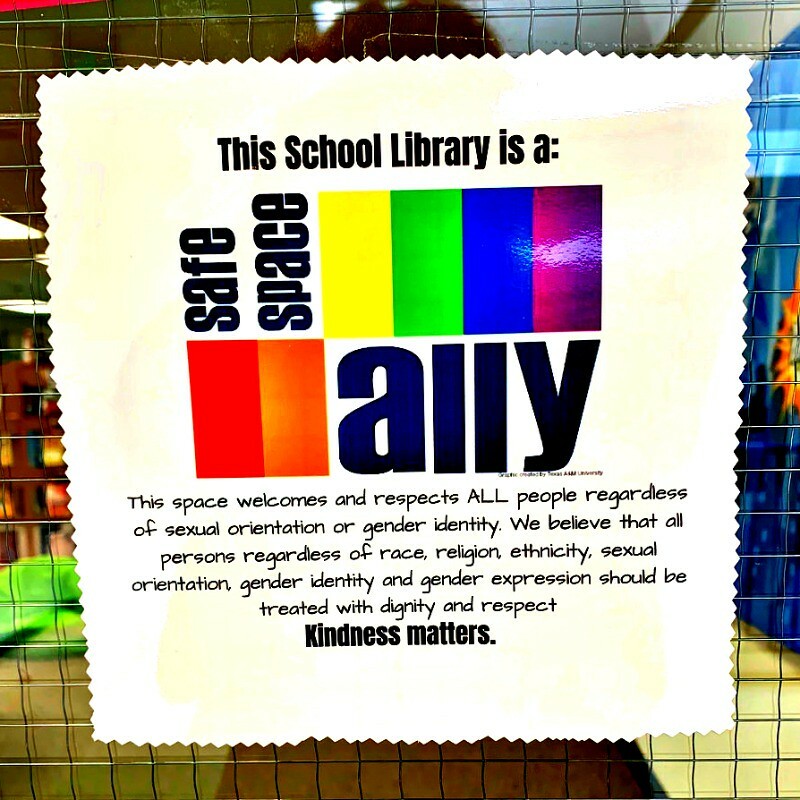 I was a habitué of and a help in my Middle School Library and always an Ally to my LGBTQ friends – even though we didn’t have that acronym in the 80’s! That’s why I thought it was important and reassuring to have a sign that proclaimed that we are a Safe Space or a Safe Zone right on our front doors and right by our check out desk! The fact that I also found a rainbow narwhal with a glittery horn made it extra and spiffy! As important as it is to define what an Ally is in a positive sense, it is also helpful to understand the boundaries of an Ally’s role. Want this poster for your school library? Copy it from my GSuite Drive or download it from my Slideshare below! Dear Queer Teen – It Get’s Better! 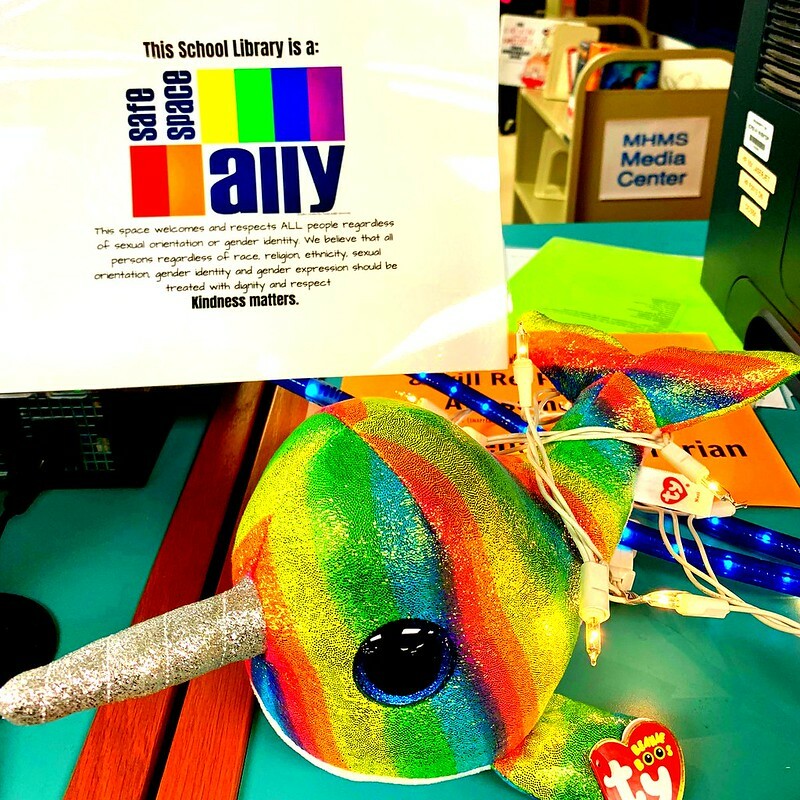 GLSEN Safe Space Kit: Be an ALLY to LGBTQ Youth!